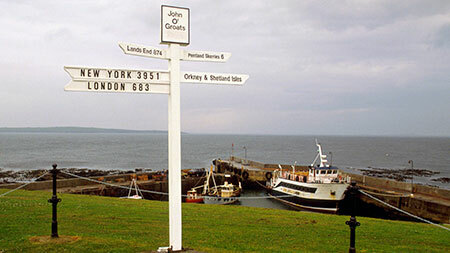 Set sail for the Orkney islands with John O'Groats Ferries - only a forty minute crossing. Enjoy a fascinating guided day tour visiting the highlights of the Orkney Islands from John O'Groats or Inverness. Ideal for families or for those staying a little further away. 90 minute afternoon wildlife cruises are also available. 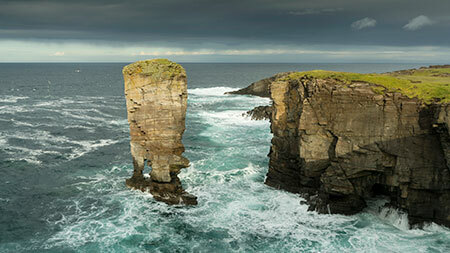 This tour visits some of the main sites of interest on the Orkney Islands. See Skara Brae, the Churchill Barriers, Scapa Flow, Ring of Brodgar, the Standing Stones of Stenness, the Italian Chapel (entry £3) and Kirkwall with an opportunity to see Kirkwall's magnificent 12th century Cathedral.